Buying a home is a very big investment for most people. A booming real estate market and easy availability of finances is making this dream come true for many people. Owning a home is not just a good investment, but it also offers other advantages such as tax savings, limited monthly costs, forced savings and, most importantly, the feeling of being independent. There are many prerequisites for owning a home: a stable income, a good credit report, some cash for a down payment and up-front fees, the ability to get a mortgage and, most importantly, the house. The home buying process is rather complicated, especially for a first time buyer, and may take several weeks. The first stage in the process is to identify a good house. Consider the location, the neighborhood, facilities both in the house as well as nearby, the amenities in the house, proximity to the workplace or the school, the kind of home you want, and many other factors. You can get the help of a real estate agent for this. Newspaper columns, the Internet, “for sale” signs, and friends and family members are also some of the most common sources of information. It’s always a good idea to ask friends and family who recently purchased a house what house buying steps they took to purchase their new home. Friends and family are more than happy to share their home buying tips. They can refer you to a good mortgage lender and a good real estate agent to help you with the home buying process. They can also tell you about good books to read as well as home buying programs like the No More Rent Real Estate Program for first time home buyers. Talking to a good mortgage broker or mortgage banker is the key house buying step to get the money you need to help you buy your first house. A good lender can help you with loan guidelines as well as credit issues. A good lender will help you get the money you need to buy your first house. A good real estate agent can help you navigate the home buying process. 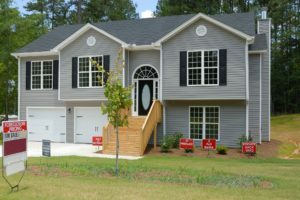 Real estate agents are very knowledgeable about local housing markets and can help you identify the best houses to buy. They can tell you the best neighborhoods to buy in and where to find the best deals. Imagine buying your first house. One of my favorite house buying steps is starting the house hunt. Looking at houses can be fun and exciting. You get to look at homes that can potentially become yours. A good idea is to take pictures of homes when you visit showings so you can compare them later. In most cases you’ll know the right house when you see it. Continue to follow the right house buying steps and before you know it you will be on the path to home ownership. The next house buying step is to submit an offer on the house you love. A good real estate agent can really help with this step. A good agent will help you determine the best offer to make and they can help you negotiate the best deal. However, keep in mind that it’s up to the seller to accept or decline your offer. Once the home seller accepts your offer the next house buying step is to close the deal. A closing date will be chosen to complete the final paper work and transfer the property. This is the day you get the keys to your first house. The closing will be arranged by the real estate agent to keep the home buying process simple. This day can lead to one of the best feelings you ever had in your life. All the house buying steps lead to moving into your first home. This is the step we all wait for. This is the day you first house becomes your home. You get to fill your first house with the things you love and you get to share your first house with the ones you love. Moving into your first home is a part of living the American dream and I want you to live the largest life possible. Good luck to all. Here is a great video from Coldwell Banker on secrets for buying your first home.